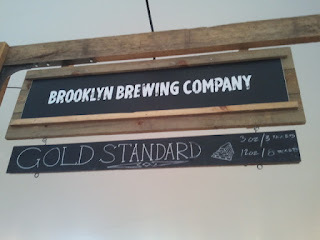 My first up close and personal interaction with Brooklyn Brewery came on June 7th, 2012, in Manchester, Tennessee, USA, and boy am I glad I can remember it. 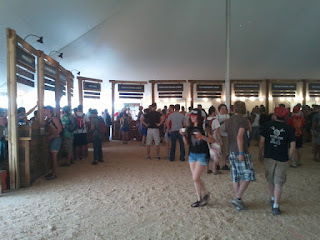 There it was, a backyard rink sized tent, right in front of me amidst almost a hundred thousand other people, and it was actually quite sparse... 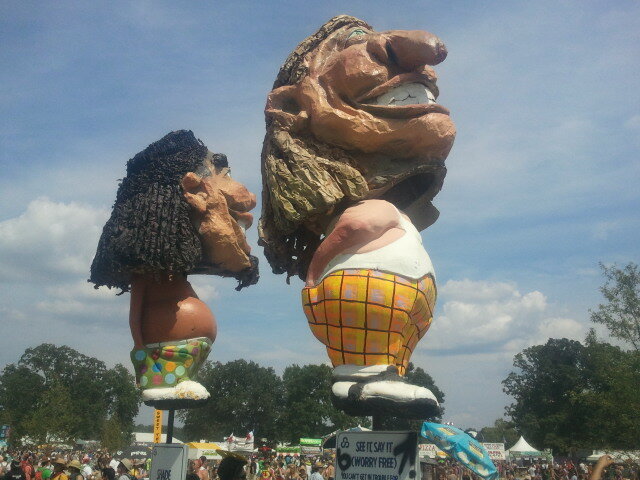 Both shade and a lack of crowds at Bonnaroo 2012? Yes ma'am, I thought, as I headed in. ...Little did I know what it was. 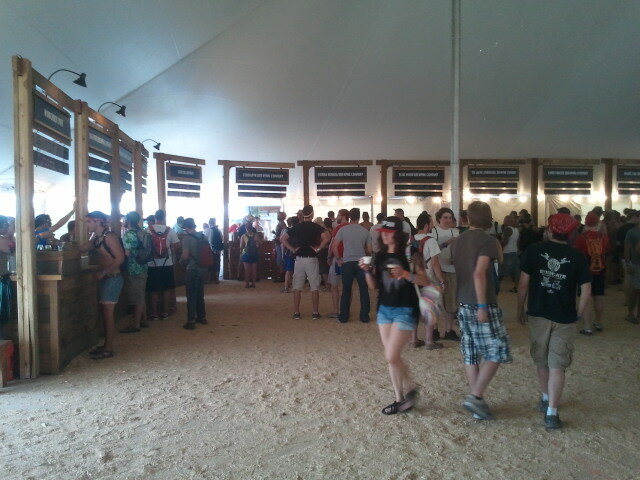 Twenty to thirty craft beer vendors, all closely positioned behind their sections, away from the 45 degree Celsius heat. All were ready to serve me beautiful, thirst quenching, and more notably for me - usually unobtainable American craft beer. 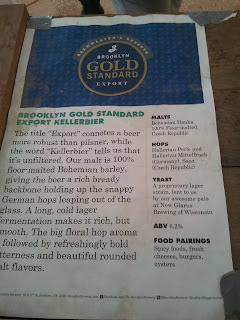 Then I spotted it - Brooklyn Brewery. 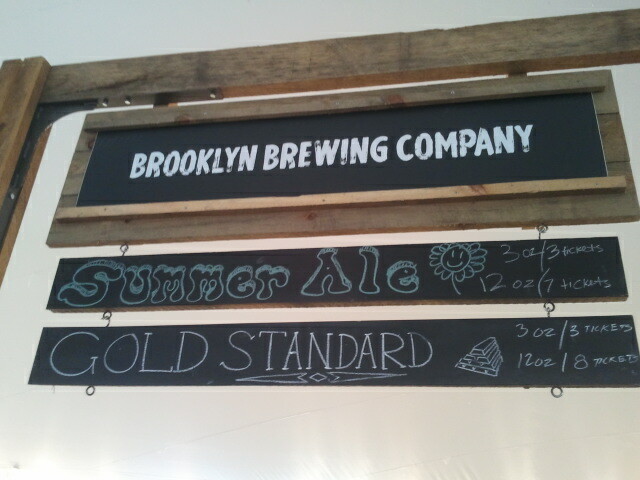 Visions of Brooklyn Lager danced through my heat-stroke affected head as I walked over to the booth. I knew I'd be seeing much more of it in the coming days. ..And there she was - Brooklyn Summer Ale. My very first Brooklyn Ale. 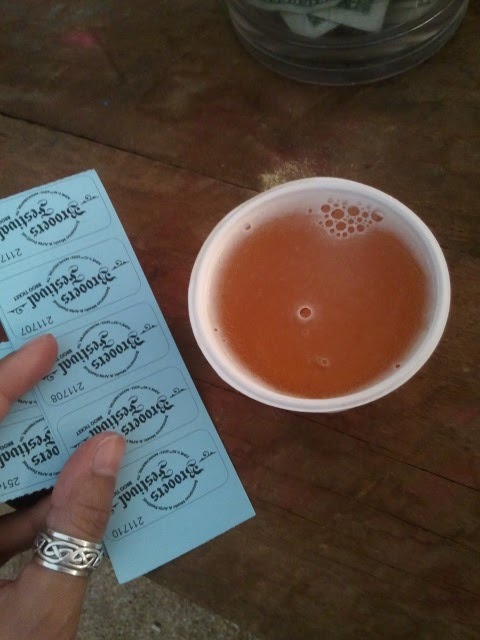 After being slightly deterred upon figuring out I had to buy beer tickets to then come back and get any actual beer, there she was again - Brooklyn Summer Ale - at first, in a sampler cup, and after one sip, in a 12oz'er. "It's like sweet summer in a plastic cup. Light, crisp, pale, oak-y; much like what summer itself would actually taste like." 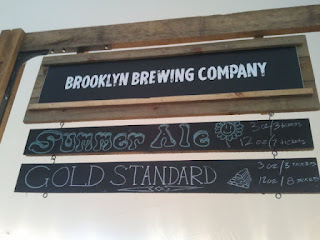 Drinking Brooklyn Brewery's Summer Ale was like getting softly whooshed onto a bed of palm leaves by a warm, summer's day breeze, with only the sand on the shore, leaves beneath you, and coast straight ahead. As I was taken to that place in my head, drinking my Summer Ale, I had actually sauntered back to my friends who were laying in the grass underneath what could only be described as giant bobble-head Einstein's (see photo). 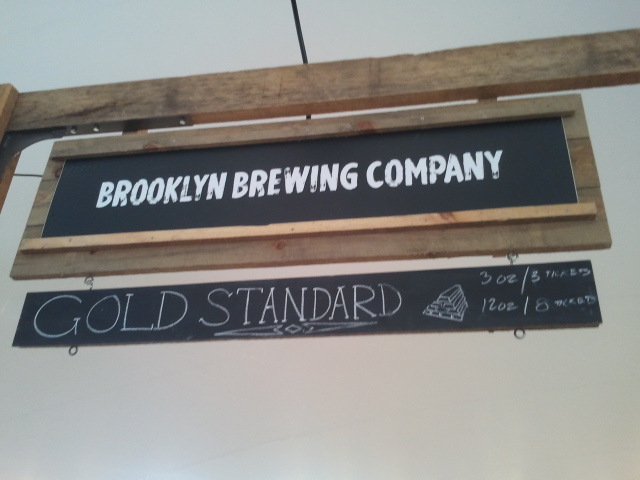 June 8th was also a good time at the Brooklyn booth. I drank a few more Summer Ale's, learning that Cascade hops were in this beautiful 5% Pale Ale, and met Brooklyn's Brand Manager, Ben Morrissey, who was nothing but awesome. That frisbee you see in this post's first photo? Yea, thanks dude - and thanks for the walk by t-shirt! It came in handy. Alas, I'm truly sad to say the frisbee that I had planned on nailing to my wall at home lost itself in the crowds. I even had the perfect spot for it picked out. 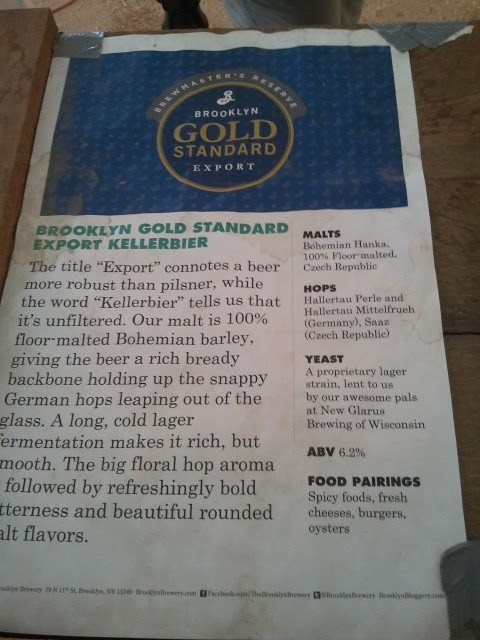 June 10th had me back at the Brooklyn Booth, and ready to try Brooklyn Gold Standard Export Kellerbier. The Summer Ale was all out, and after a slight hesitation knowing that I'm often not too crazy about pilsners, and it being described to me as one, I couldn't say no to an unfiltered lager that's only available between May and July! My notes on this 2012 brewmaster's reserve, you ask? "It's not as heavy as every other robust-labelled beer I've ever had. Super clear and light tasting. It's what I would like to be my new smooth, but heavily carbonated session beer." Realizing later that the Gold Standard is 6.2%, I don't think I'll be making it my session beer any time soon, but IT WAS SO LIGHT IN COLOUR! 6.2%! I really... really liked it. 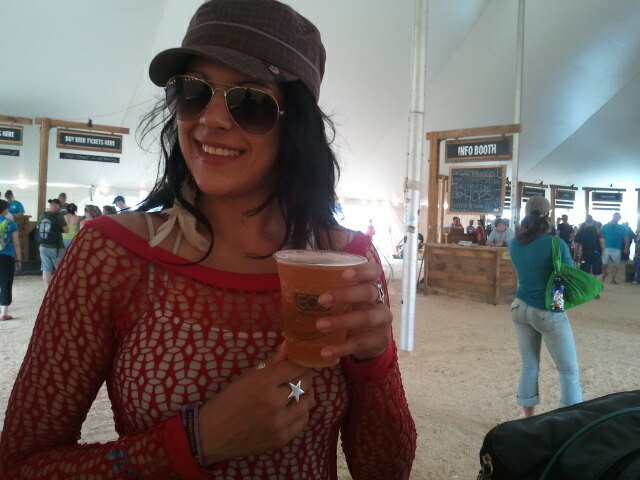 So there's me, day 4 of Bonnaroo, drinking my very first Brookyn Brewery Gold Standard Export Kellerbier. What a taste trip. Thanks again to Ben and the whole Brooklyn crew out there making Brooklyn Brewery fans happy way down in Tennessee for those few days - happiness was achieved.